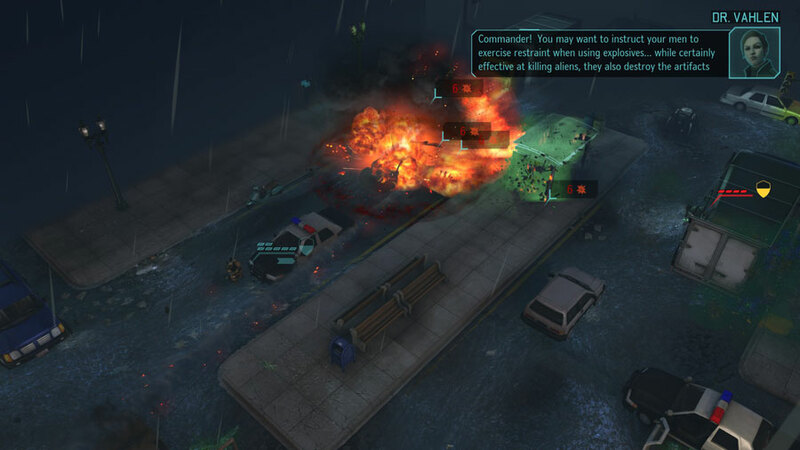 XCOM: Enemy Unknown is a reboot of the 1990s cult-classic tactical title of the same name. In this game, you take charge of the XCOM project, which is a worldwide military response to what appears to be an alien invasion of Earth. You engage in a series of turn-based tactical battles, which is then broken up by periods of base building and resource management inbetween alien incursions. Combat is “team turn-based,” which means that you can move all of your own units before giving the floor over to the aliens to do the same. Individual unit turns boil down to “Move + Shoot/Ability,” while trying to make an effort to end your turn next to some cover. As units earn experience, they gain levels and can unlock new abilities/bonuses in their class’s (limited) talent tree. There are a number of different weapons and armor types available (including special items like Grenades and Medkits), but for the most part they are limited to the class they are designed for. If this all sounds pretty simple, that is because it is. 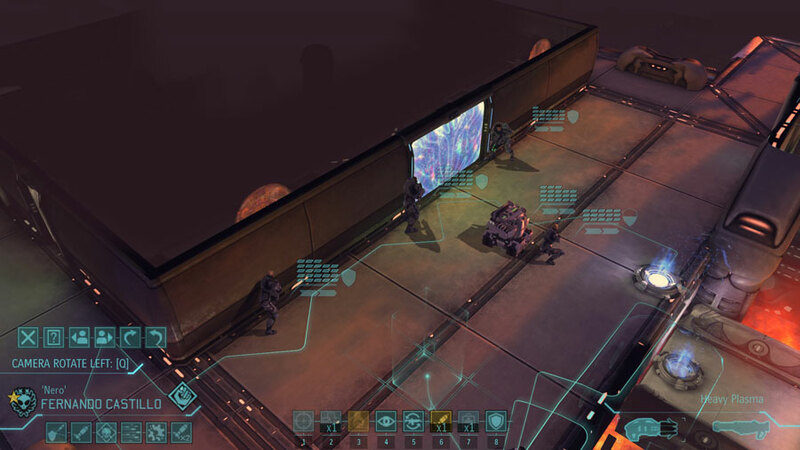 While XCOM won a number of accolades and serious blogging goodwill for its tactical combat, its primary accomplishment is simply existing as a tactical offering at all in a desert of similar titles. At no particular point did I find myself especially challenged tactically, at least in terms of historical titles like Fallout Tactics, Final Fantasy Tactics, Tactics Ogre, Suikoden Tactics, and so on. While I did “only” play on Normal Ironman mode (Ironman meaning you cannot reload a saved game to avoid a team member death), I simply do not see enough moving parts to justify some claim to XCOM’s tactical brilliance. In particular, I have a problem with team turn-based gameplay leading to “dogpile tactics” (maneuvering units so as to unload a full turn’s worth of damage without recourse), combined with an enemy that almost always waits patiently for you to discover them before taking any initiative at all. And then there are a few of XCOM’s uniquely questionable design decisions, such as not showing the range on, say, Sniper Rifles. Luckily the aliens give you all the time you need to get into position. Some of the lack of complexity in the tactical segments is made up in the planning stages. Character growth and equipping is straightforward, but trying to juggle base expansion, e.g. building more research centers vs power plants vs ect, with the other demands like satellites for XCOM member states or research into better weapons can get a little dicey. While I got a handle on things by the end of my first playthrough, I was not particularly sure whether the complexity was via the underlying systems or if it were just random chance that, say, China kept getting bombarded by UFOs. All of this is not to suggest that XCOM is a bad game. It is, in fact, a fun game that I think is an auto-buy at $15 or below. I just want to distance myself from the blogging narrative that XCOM is some kind of superstar in the tactical gameplay arena. It certainly wins the “best tactical game in years” award, but it does so due to an utter lack of competition. If you enjoy this subgenre you will enjoy XCOM, but you will likely find most of your planning taking place outside of the tactical battles rather than in them. Posted on February 23, 2013, in Review and tagged Complexity, Dogpile Tactics, FFT, Reboot, Tactics, Tactics Ogre, XCOM. Bookmark the permalink. 4 Comments. There is a significant difference in challenge between Normal and Classic. I found the Normal mode to be mind-numbingly easy. Classic is much, much better, and toss Ironman on top of it (as you did with Normal), you get a truly good game. Not much replay value for me, though, because I find the out-of-combat portion of the game to be extremely tedious. Never gave the multi-player much of a whirl, to be fair. Also, have you tried The Banner Saga? F2P download on Steam; Kickstarter game made by some former BioWare employees, I believe. It’s had some server issues over the weekend, but the game is a tactical 1-1 PvP which I’ve had a blast playing. It seems… interesting. Is it all 1v1 matches? Yes; all 1v1 matches. I’ve just been playing rank 0 and rank 1 matches (rank goes up based on the type of units in your army, making the game essentially pay-to-lose if you buy upgrades early without understanding how to play), learning how to utilize each different troop type. There’s a single-player campaign version coming at some point, which presumably will be a “box” purchase.